Getting a quick cup of coffee for those who prefer their beans as fresh as a daisy, isn't a huge chore these days. If the thought of grinding your own beans and warming your own milk seems like a medieval and laborious task, read on... because Melitta have nailed it once again. We check out the Melitta SOLO & Perfect Milk bean-to-cup Coffee Machine. For those not in the bean-know, bean-to-cup coffee machines essentially do everything, from grinding the beans to foaming the milk. 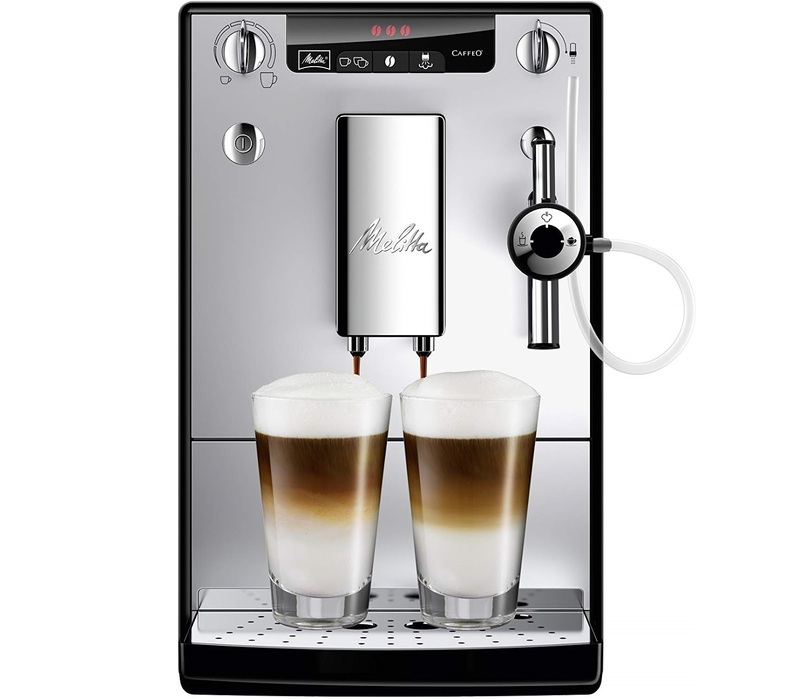 Therefore with just a few taps of the machine's buttons, you have a professionally made and tasty cappuccino in just a minute or two. Pour in your favourite beans, hook up the milk, and make sure there is enough water. 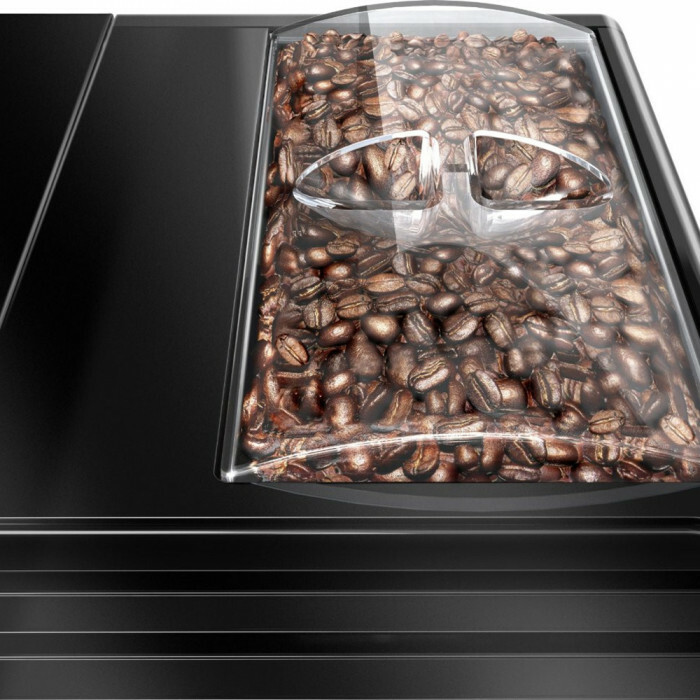 Coffee fans rejoice. 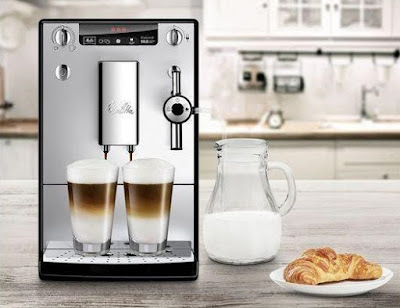 The Melitta SOLO & Perfect Milk bean-to-cup Coffee Machine is no exception to this rule, being a weighty, but not ungainly, slab of plastic and metal to sit atop your kitchen counter. It is an undeniable block of a unit, and Melitta are clearly sticking to their guns when it comes to coffee machine design: no gentle curves and no flashy flourishes. Simply put, the beans go in the top, the water reservoir is to the side (thankfully - rear loading water tanks can be a pain), and the milk-frothing arm attaches to the front, next to where the glorious espresso comes out. 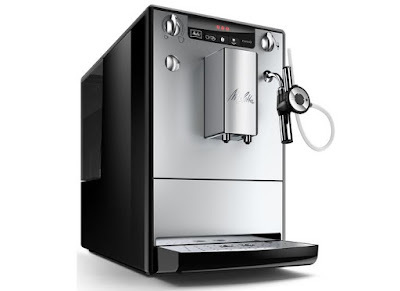 On that note, the front of the machine is detailed with shiny metal parts, making the whole thing look fairly upmarket, and the espresso spout can be raised and lowered to accommodate different sizes of cups. We're no strangers to Melitta machines, having reviewed the C1 Touch Bean-to-Cup previously. However, whereas that machine was all about a handy touch-sensitive interface and digital screen, the SOLO & Perfect Milk isn't as easy or as intuitive to operate. We found ourselves having to reread the included instruction manual a few times to fully understand the operation, as it isn't clear from the array of knobs and icons on the machine itself. That said, once we did understand it, it was fine. Getting our heads around the milk frothing and feeding system was the trickiest, but nothing that a trial-and-error latte didn't fix. Once sorted, it was a breeze to set the mode preferred and let the lovely hot black stuff pour. One thing we really appreciated about the Melitta SOLO & Perfect Milk bean-to-cup Coffee Machine was the auto clean and descale. After every brewing session the machine washed itself out, clearing the pipes of espresso to keep everything in tip-top condition. Rinsing the milk tube was also a simple affair, and also very necessary. All in all, keeping the machine ready to serve decent coffee each and every time was a breeze, despite the complicated nature of its operation. So yes, it is expensive, and it's also not the easiest thing in the world to master. 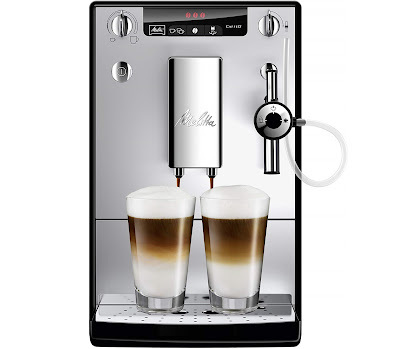 But we've really enjoyed using the Melitta SOLO & Perfect Milk bean-to-cup Coffee Machine and would recommend it to anyone with the cash to flash who likes their coffee fresh.